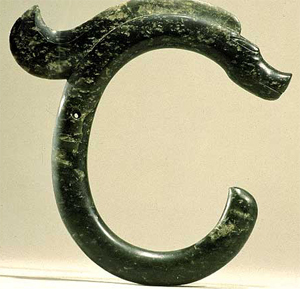 In 1968, the first dragon symbol made from Yu was unearthed, which was made in Neolithic Period (about 6000 BC), about 8000 years from now (refer to the picture below at left). 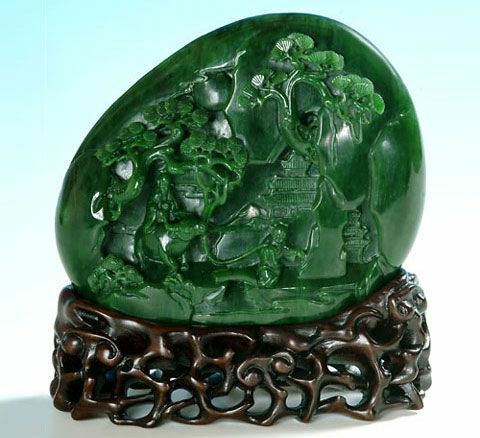 Stamp loved by Kangxi emperor (1654 – 1722) in Qing Dynasty, made by green jade – Beijing Palace Museum. (refer to the picture below at right). 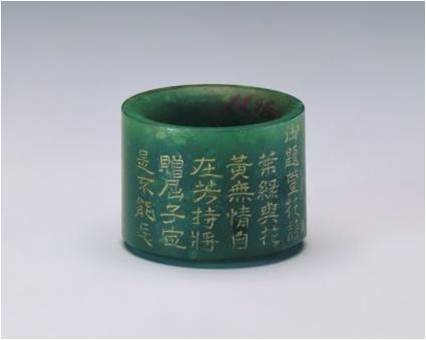 Treasure stamp of Qianlong emperor (1711 - 1799), Qing Dynasty, carved with a poem he wrote - Beijing Palace Museum (refer to the picture below at left). 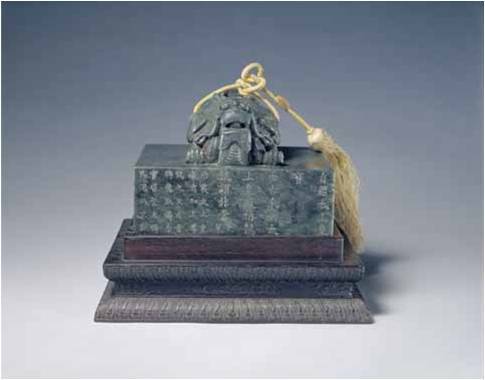 Emperor’s Banzhi, carved with a poem written by the Qianlong emperor (1711 - 1799) , Qing Dynasty - Beijing Palace Museum (refer to the picture below at right). 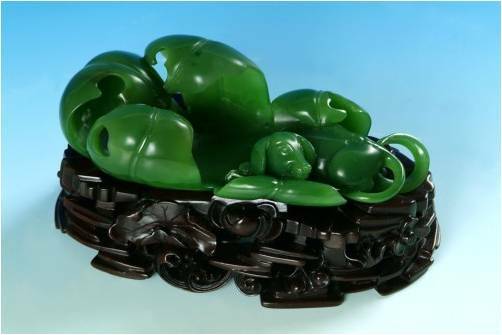 Dog on a leave (refer to the picture below at left). 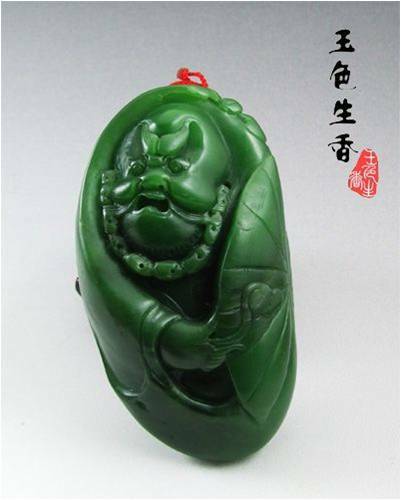 Full of life (cucumber)(refer to the picture below at right). 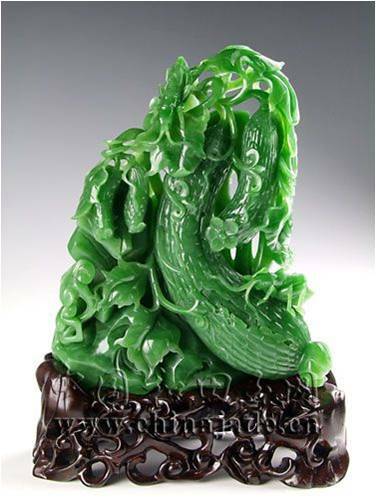 Scent of Jade Color. 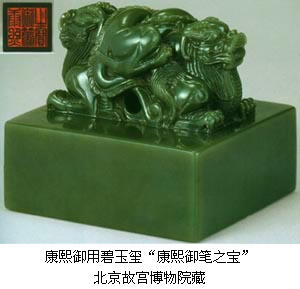 In old time in China, pure, light green is also called Yu-Se (color of jade)(refer to the picture below at left). Kid under a pine tree (refer to the picture below at right).